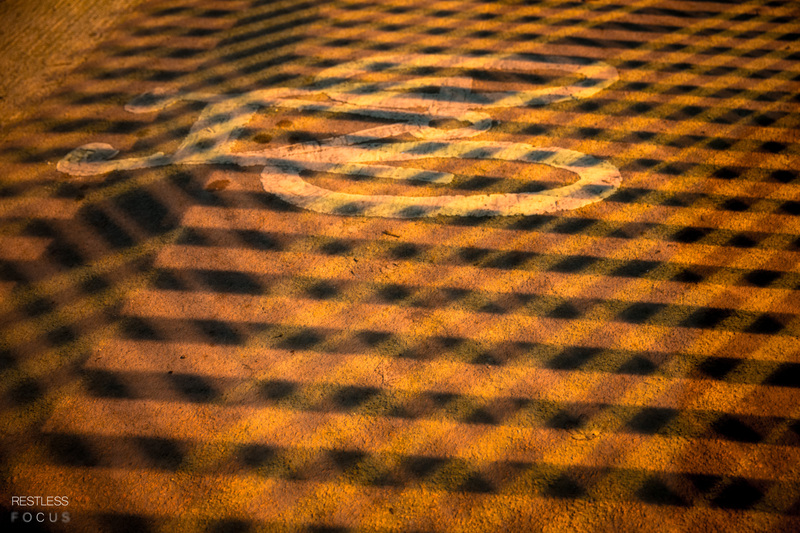 I was on the return leg of a training run recently, and in a somewhat weary state noticed the pattern on the path in front of me, being cast from a number of different colour light sources behind a security fence. I’ll keep an eye out for this type of detail in the future! This entry was posted in .eyes, .feet and tagged fence, incidental, led, light, pavement, sheffield, sodium.